(TibetanReview.net, Feb03, 2017) – After losing much of his powers to an apparently unstoppable new strongman President Xi Jinping, Chinese Premier Li Keqiang may lose his post as well, according to an AsiaToday commentary posted on huffingtonpost.com Jan 2. Li belongs to the former President Hu Jintao-led Communist Youth League (CYL) faction, which, together with former President Jiang Zemin’s Shanghai clique have been steadily losing their grip on power in the face of Xi’s onslaught. The commentary said there was a persistent rumor that Li would step down from his position as Premier at the 13th National People’s Congress in Mar 2018 and move to the less powerful post of chairman of the Standing Committee of the National People’s Congress (NPC). The issue is seen as being likely to be discussed at the 19th National Party Congress, to be held this fall. Were that to happen, the upcoming party congress is also seen as being likely to select a new Premier who will be more loyal to President Xi and who will be confirmed by the NPC in Mar 2018. 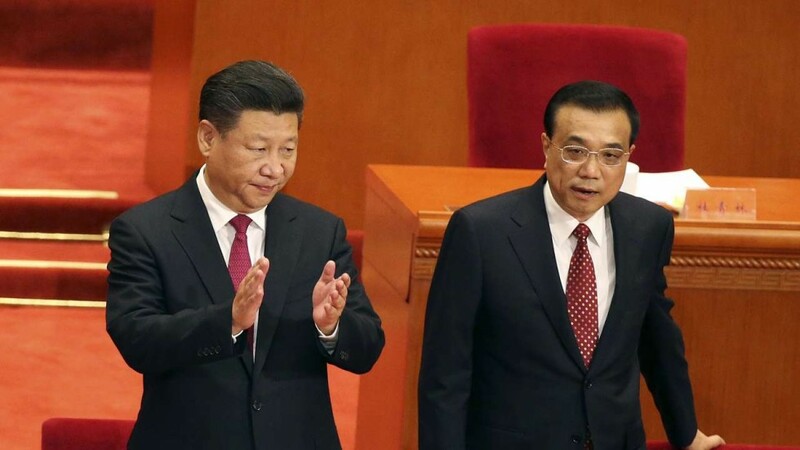 China’s government power has hitherto been dominated by Xi Jinping’s clique or Zhejiang, with some remaining parts shared by Hu Jintao’s Communist Youth League (CYL) faction and Jiang Zemin’s Shanghai clique, the commentary cited sources familiar with the situation as saying. However, this structure was completely shaken after Xi cemented his “core leader” position within the party at the sixth plenum of the 18th CPC Central Committee, which was held in Oct 2016. The recent promotion of Zhejiang’s key members to important positions in the party, the military, and the local governments have led the Shanghai faction and the CYL faction completely out from power, it added. Li has practically handed over his full authority as Premier over managing the economy to Xi. Hence, it is very natural that there are talks involving his position. Li may choose to move to the post of chairman of the Standing Committee of NPC, instead of keeping his position as Premier without power, the commentary added. Vice-Premier Wang Yang is currently seen as the strongest candidate to be the next Premier. However, there are said to be other possible candidates too, such as Liu He, the chief of the General Office serving the Leading Group for Financial and Economic Affairs, and Chen Min’er, the Party Secretary of Guizhou Province. Or Li may continue to be the Premier, but without the powers that go with it, the commentary added. China’s Xi looking to extend his tenure beyond two terms?